ISLAMABAD: The National Accountability Bureau (NAB) on Monday submitted a petition in the Supreme Court (SC) opposing the bail petition filed by former prime minister Nawaz Sharif, as the top court is expected to give a ruling on his application on Tuesday. NAB’s actions come after a notice was served to it by the apex court in the last hearing in which it had been asked to make its stance known. According to the petition submitted by NAB, Nawaz’s petition does not mention that he is suffering from a serious ailment. NAB argued that the former prime minister’s life is not threatened and no medical board has recommended surgery for him. NAB added that his case does not fall under the ‘hardship’ category. The anti-graft watchdog stated that the former premier is being given all facilities in Pakistan and he only wants to make the case all about threat to life so that he can go abroad. NAB suggested that once Nawaz is given bail, the premier would be outside the jurisdiction of the court, adding that the Islamabad High Court (IHC) had already studied all aspects of the case before rejecting Nawaz’s bail plea. NAB also said that Nawaz’s doctor, Dr Lawrence’s report appears to be unverified and fictitious. Dr Lawrence’s letter, written to Sharif’s personal physical Dr Adnan, had been submitted in court on Monday. The letter, submitted by Sharif’s lawyer Khawaja Haris, included Nawaz’s medical history from 2003-2019. A press statement released by the top court on Monday announced security measures that have been taken ahead of Tuesday’s hearing. 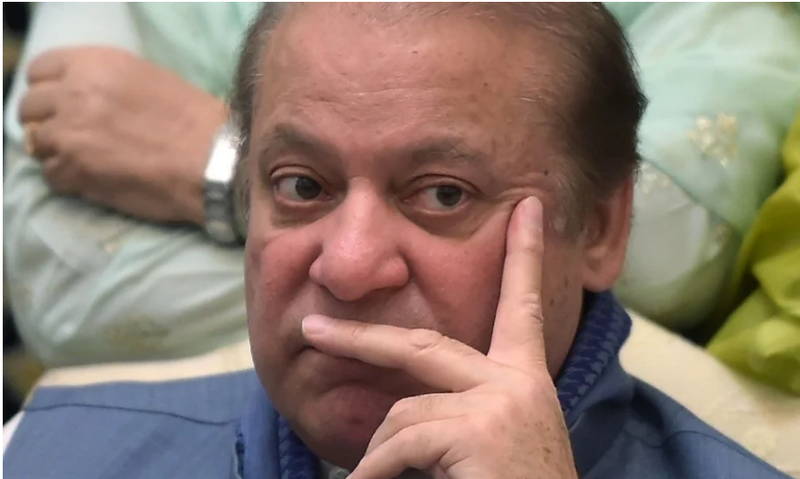 Headed by Chief Justice of Pakistan (CJP) Asif Saeed Khosa, a three-judge SC bench — also consisting of Justice Sajjad Ali Shah and Justice Yahya Afridi — will take up the appeal of Nawaz Sharif against a February 25 IHC decision to turn down bail on medical grounds. Due to the limited capacity of Court Room No 1, where the hearing will be held, the Superintendent of Police (Security) of the SC will issue security passes in order to regulate the entry of the people. According to the press statement, only petitioners and respondents whose cases have been fixed in the top court will be allowed to enter the premises of the SC building. Journalists and advocates who come to the court regularly will be exempted from passes. The general public who wish to observe proceedings will be required to contact the SP (Security) for security passes. Bags and purses of visitors will be searched before entry and mobile phones will be prohibited in Court Room No 1. Nawaz is undergoing seven-year imprisonment in the Al-Azizia Mills corruption case. The government claims that he is not ready to be treated in any hospital in the country as he wants to go to London for treatment. The Pakistan Muslim League-Nawaz (PML-N) has accused the Pakistan Tehreek-e-Insaf (PTI) government of indulging in politics over Sharif’s health. The former premier spent around 10 days in Jinnah Hospital, Lahore last month. He refused to get further treatment at the hospital after the IHC rejected his petition seeking suspension of his sentence on medical grounds.